... and he actually, out loud, said, "Finally!" when this scene started. I mean, I appreciate that they're trying to balance all the storylines, but yeah, finally! 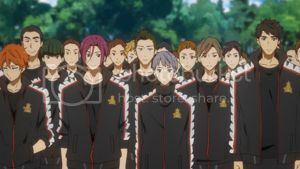 Also the whole reason we've had this friendly rivalry between the two is because of Gou and Rin. And it's continued because of the friendship between our younger team members, but they'll be graduating, so I don't see it continuing beyond this year. Hey, it looks like Ai's no longer a hoarder. 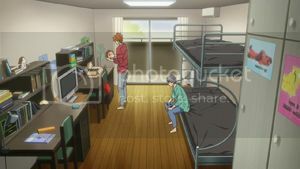 But as captain, shouldn't he have gotten his own room or chosen his own roommate? Which means he's choosing to still room with Momo. 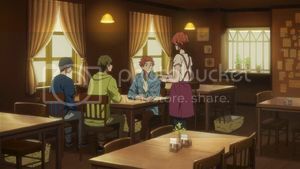 How many scenes of Sousuke sitting in the doctor's office do we need? "It's like I've got a bomb on my shoulder." 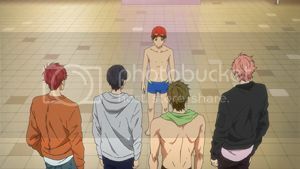 Geez, Sousuke. I see why you and Rin are friends. Hey, good news, Sou-chan, you're no longer in the "Kill" slot of "Kill Shag Marry", because this guy. If you know anything about me and D, it's that we hate self-appointed gate-keepers. 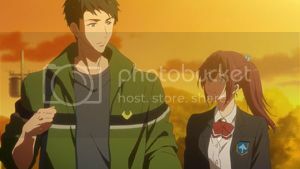 Which is why Sousuke rubbed me wrong at first with his whole "Don't get in Rin's way" to Haru, because, dude, Rin already has a mommy. 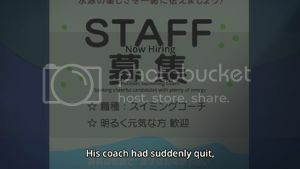 Although technically I guess Coach Cho Very Creepy is in the "Kill" slot. 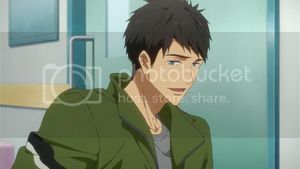 So Sousuke, you're way safe. FOR NOW. 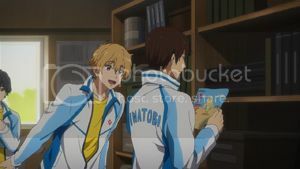 Makoto as Haru's second. 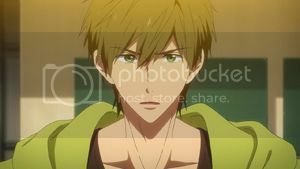 Makoto with game face fully ON. Make the tally four times I have now found Mako hot. Watch out, Rin, your deathgrip on the "Shag" slot could be challenged. I don't know if running a gourmet artisanal coffee house just so your kid brother and his friends have a place to hang out is a good business model. 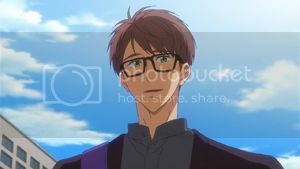 I do feel though that this whole Ikuya plot is a re-tread of Rin's plot from the first season. Childhood friends trying to reconnect with a former teammate who's been abroad and is now isolated and struggling. It's just not different enough. 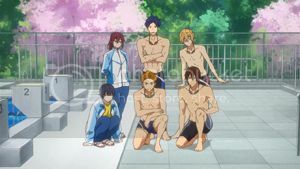 We had turned out the light and settled down to sleep when I said, "I don't know why they'd bring back Misaki and mention he still didn't have a coach if not to open up a plot for Mako." D said, "I love how you're like Windows and in the background, ten percent of your brain is always thinking about Free." I said, "Oh, it's more than ten percent."